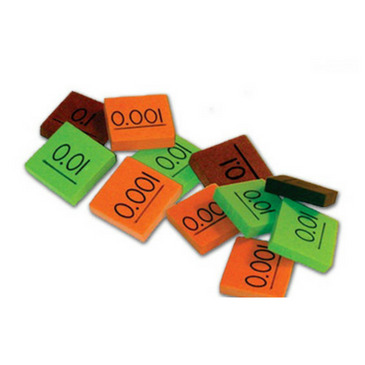 Use these engaging, color-coded foam manipulatives alone or in combination with the whole-number disks to help students understand place value and practice basic mathematical operations. Tiles are 1 square and come with instructions. Suggested: 10 bags to make 20 student sets. 90 tiles (30 each for 3 values - .1, .01, .001).